Fitness Gift Guide – Give a healthy gift this season! With the holidays just a couple weeks away, everybody is busy shopping for gifts for family and friends. More challenging than the actual shopping is thinking up unique gift ideas, that your loved ones will be able to appreciate, and use throughout the year. Fitness related gifts can make some great unique gift ideas and help your loved ones jump-starting a new fitness regimen for the new year. This is an excellent device for any exerciser looking to get the most out of his or her workout. 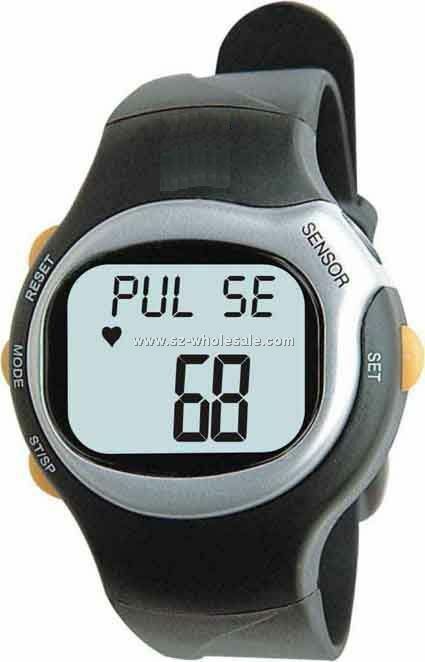 There are many different types of heart rate monitors, but you should look for one with a heart rate strap, so the exerciser can see a continuous heart rate at a glance. Fancier models include a GPS, which will track pace, speed, location, etc. At first thought, giving someone a towel as a present may not seem like an extraordinary gift, but this towel is pretty unique. Once you take it out of the included tube, it instantly cools to help keep your workouts more comfortable. It’s great for the gym, which can get steamy with all the body heat, or for warmer weather workouts as well. Kettlebells are currently a very popular trend in fitness and a good choice if the person you are getting the gift for likes a challenge. There are a variety of kettlebells on the market, from medicine-ball like bells to basic iron models. If giving kettlebells as a gift, it may also be a good idea to pair it with a kettlebell video, to allow the exerciser asset of instructions in doing this workout, so in time they will be able to pick up the kettlebells whenever they’d like and do reps of various exercises! Many places, like Smart Workout, are giving Kettlebell classes, so this would be the perfect gift for someone who wants to continue their training at home! Personal Training sessions are a great gift if your loved one has expressed interest in training but is reluctant to spend money, or intimidated to sign up on their own. Every trainer charges a different fee for their services, ranging from about $50.00 to $100.00 per session. This is a great idea for anyone looking for more personalized workout sessions. You may want to first purchase only one or two sessions for them, and let them decide if they want more. Like the gift of personal trainings, a gym membership is a good gift idea only if the person has been talking about it and considering it for some time, but for one reason or another, has not yet signed up for it. There are tons of different gyms to consider, so find out what type the person is looking for (size, location, small group classes offered.) Another option is to get them a coupon for free tours of gyms nearby and let them browse first before you buy. Many gyms also offer a package that will help a person jump start a fitness routine. Especially if a friend or family member expressed interest, a package like Smart Workouts 6-Week Shape up or Fitness Vacation. The 6-week shape up combines classes and personal training, while the Fitness Vacation combines classes, nutritional education and lectures and some fun activities around NYC! Found on Wellbaskets.com, this basket includes all kinds of healthy foods including green tea, soy coffee, smoked salmon, soy chips, and dried fruit. Also included is a pedometer and a guided weight loss CD. This particular basket is $85.00, but it can launch a great idea for to make you own unique healthy basket for a loved one as a gift, working with your own budget and making it as inexpensive or pricey as you wish! Happy Shopping from Smart Workout! Author Smart WorkoutPosted on December 9, 2011 June 12, 2017 Categories Exercise Classes, Health Help, Trainer's Tips, Weight LossTags cardio, eating smart, exercise, health, holiday, keeping fit, keeping weight off, midtown manhattan, motivation, pilates reformer, small group exercise classes, smart workout, tips, workout midtown manhattanLeave a comment on Fitness Gift Guide – Give a healthy gift this season!